I find it curious that – at a time when few established artists can successfully pull off an image overhaul, let alone a full-on sonic reinvention (no soup for you, Katy Perry!) – not enough gets said about Obaro Ejimiwe‘s impressively seamless transition from quirky electro-rapper to indie virtuoso. I mean, you’d think the fact that, in the last five years, he’s been twice shortlisted for the Mercury Prize certainly qualifies his trajectory as ‘interesting enough’. Sveltely clad in head-to-toe black, Ejimiwe cuts a rakishly brooding figure as he takes the stage. 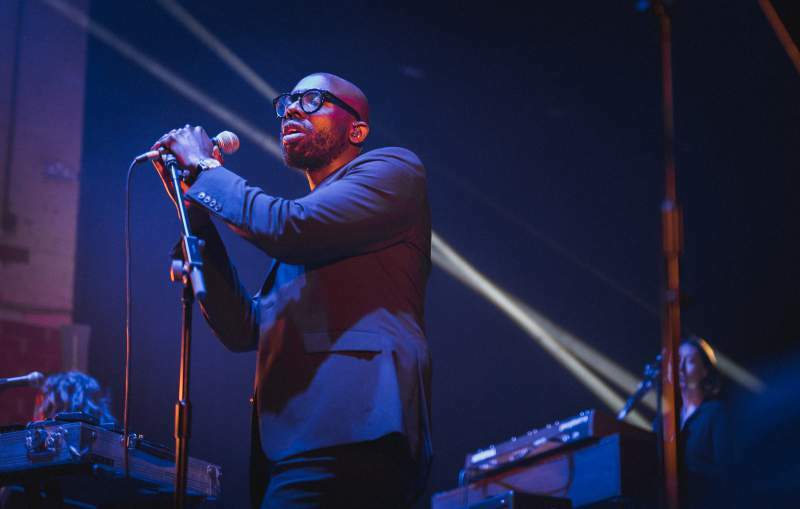 Looking like the lovechild of Isaac Hayes and Maxi Jazz, the critically acclaimed wordsmith pensively surveys the crowded venue before launching headfirst into the ominously ambient polyrhythms of Many Moods At Midnight. While Ejimiwe’s hypnotically somnambulant baritone wades through the murky, guitar-driven jazz mire that is Dopamine If I Do, a middle-aged couple in front of me gush effusively to each other about his potently dynamic showmanship, as they rightly should – his zooty attire and drawled nonchalant delivery might suggest he has more in common with moody lounge lizards, but Ejimiwe’s fervid performativity is undeniably operatic. Besides his idiosyncratic musicality and undeniable showmanship, Ejimiwe also displays a distinct tendency for playing well with others – this selfless magnanimity is most keenly felt when, much to the crowd’s delight, he brings out Maximo Park’s Paul Smith for a gorgeous rendition of the wistfully mournful Be Right Back, Moving House. As he bobs, weaves and jigs in time with Karoshi’s sparse dub groove, I start to get the feeling that, for Ejimiwe, music is a form of therapy. It’s almost as if he sees us, his audience, as willing confidantes with whom he’s working through the full spectrum of human emotion – everything from existential dread (Live>Leave) to good old-fashioned romantic upheaval (Yes, I Helped You Pack). 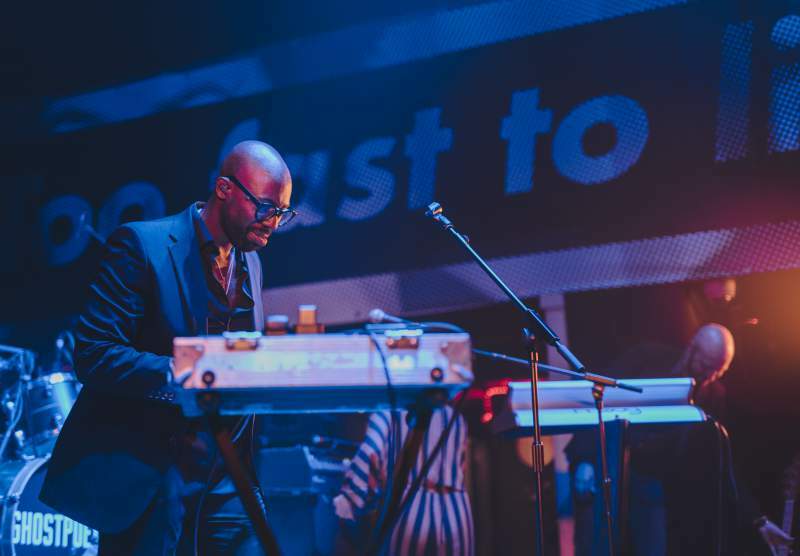 We might have all initially come along for the alluringly spectral aesthetics, but we definitely ended up staying for Ejimiwe’s engagingly compelling inner monologues – that’s Ghostpoet in a nutshell.